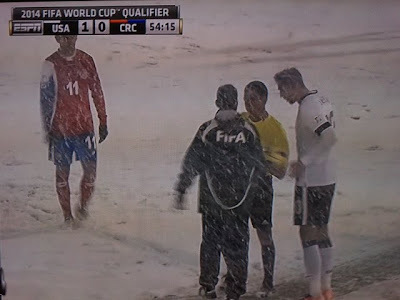 The game was played in Commerce City, Colorado, just outside of Denver. 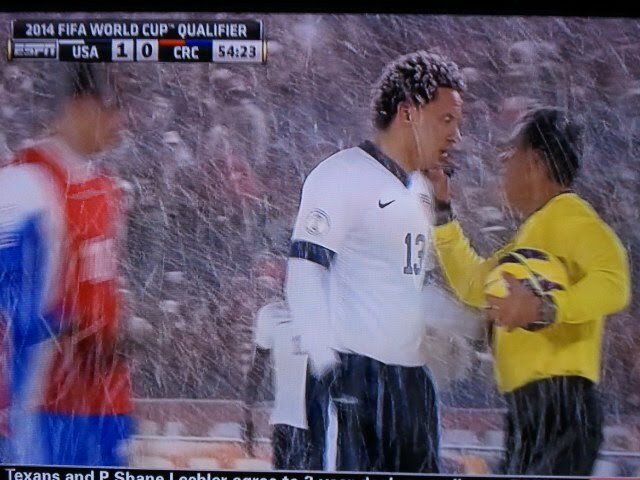 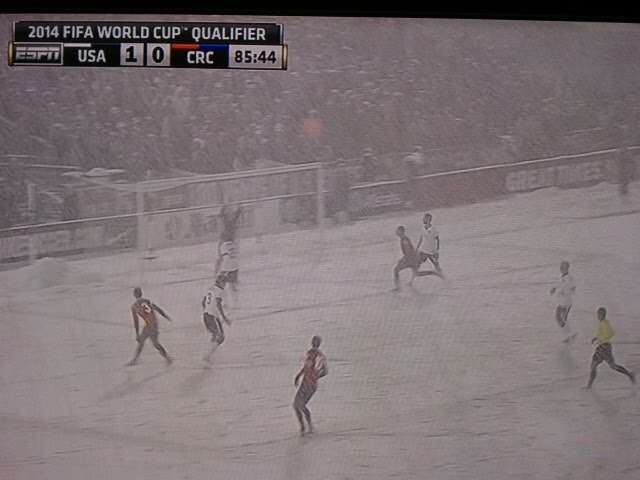 And while I doubt many of the Americans are used to playing soccer in snow, there's a good chance most of the Costa Rican team has never even seen snow. Costa Rica is about 15 feet north of the equator. 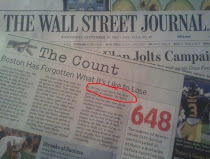 Tomorrow's forecast for its capital, San Jose, is a high of 84, and a low of 67. They don't even have summer or winter, just the rainy season and the dry season. I remember when I went there in February a few years back the ocean water felt just as warm as the air. So nicely done U.S.A. Soccer; hosting a mid-March game vs a tropical nation in the heart of ski country.